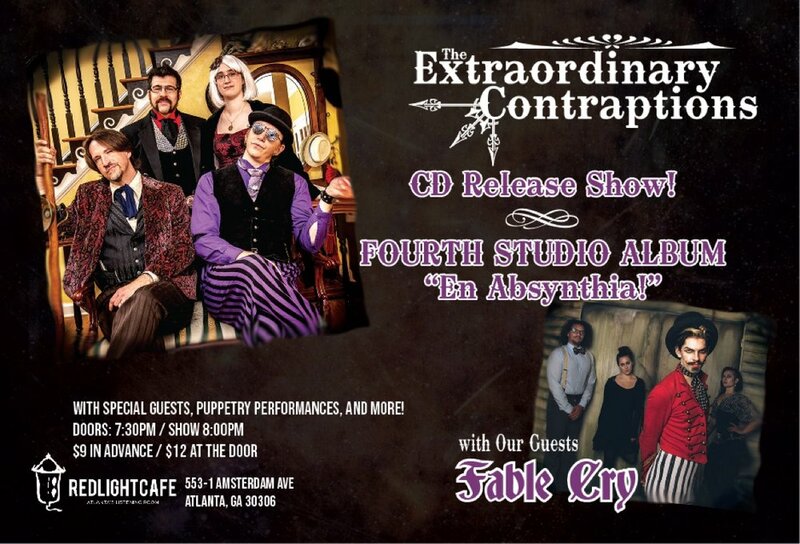 The Extraordinary Contraptions CD Release Party w/ Fable Cry + more! Join Atlanta's trans-dimensional rockers, The Extraordinary Contraptions, along with special guest Fable Cry, some of Atlanta's best slam puppeteers, and more surprises as they celebrate the release of The Contraptions' long-awaited 4th album. A chemist, a time traveler, a gentleman explorer, and a mad genius join forces... to save the world with their aural odysseys of steam, strife, and romance! The Extraordinary Contraptions, those dimension-hopping rock-and-rollers from Atlanta, Georgia, create a total art centered upon epic songwriting and superb musicianship as they spin their melodical tales from a time that never was. 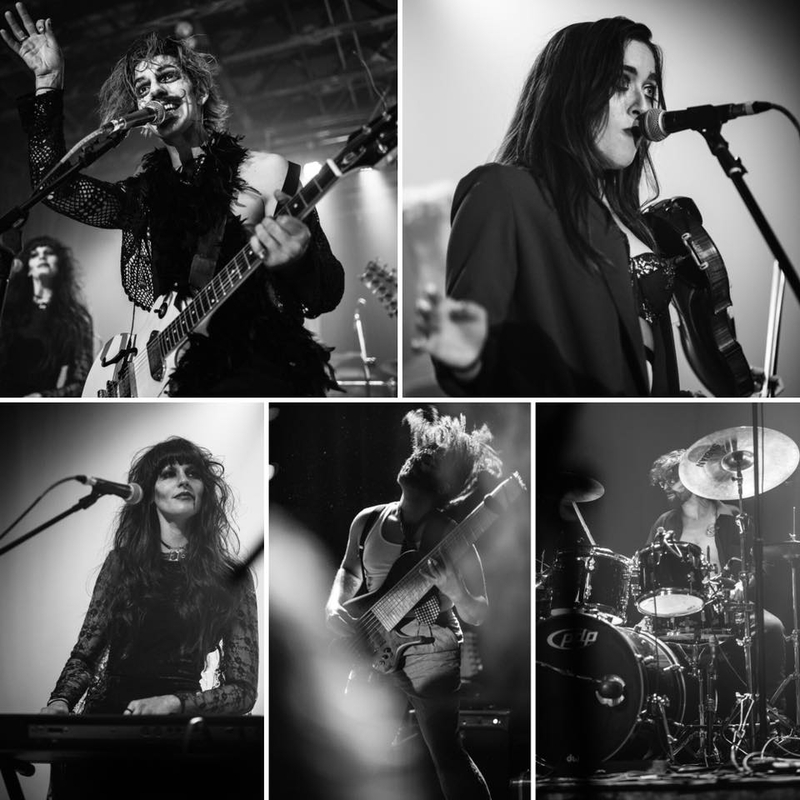 They effortlessly fuse the steampunk aesthetic, a DIY work ethic, and rock and roll sensibilities to offer a unique experience that grows and evolves with each new timestream they visit. Fable Cry, the theatrical scamp rock band from Nashville, TN, draws inspiration, both musically and poetically, from all things imaginative, mythical, and spooky. With a colorfully haunting melody and a flourishing sweep of the hand, they will weave their strand of tales and take you with them on a wild ride, from the eerie solitude of a dark forest to the wily seas; from the tippy top of a wind swept mountain pass to the grittiest alleyways of sordid scum! They create a wildly unique experience and one that is not to be missed!